In an effort to encourage the next generation of women philanthropists, in 2018 Impact Las Vegas will be providing two Membership scholarship grants for young women to experience the power of collective giving. This program specifically targets women who have an interest in philanthropy and in joining Impact Las Vegas but who might initially struggle to fund a new Membership on their own. This program grants a Membership donation scholarship over a four-year period, requiring the scholarship recipient to pay a portion of the Membership donation each year and to pay the full amount of the Membership donation in the fourth year of the grant. This sliding scale of dues invites the young philanthropist to budget over time and embed the philosophy of giving into their lives. Attend as many Impact Las Vegas events as possible to more deeply understand the Impact model, including, but not limited to, the Members Update Brunch (March), Annual Meeting (June), Nonprofit Grant Information Meeting (October) and Celebrate Our Impact! event (November). Enjoy full Membership benefits, including the opportunity to learn about the grant-making process and to cast a vote for grantee recipients. 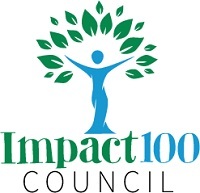 The Impact Las Vegas Young Philanthropist Scholarship program is funded by a grant from the Impact 100 Global Council through the support of Carrie Morgridge and the Morgridge Family Foundation. With these scholarship grants we hope to inspire the next generation of women to become involved in collective giving grant-making, see the transformational impact this form of philanthropy can have on a community, and experience first-hand the power of Women Connecting, Giving As One as Members of Impact Las Vegas. Apply now for one of our two Membership scholarship grants for young women to experience the power of collective giving. This program specifically targets women who have an interest in philanthropy and in joining us but who might initially struggle to fund a new Membership on their own. Send the completed form via email to info@impact-lv.org The Deadline to apply is Thursday, May 31, 2018.